Breastfeeding / What will happen if I produce too much milk? What will happen if I produce too much milk? Some mothers are able to produce more milk than their children can tolerate or need. A strong flow of milk comes out quickly and with great force. This situation can be common during the first weeks of breastfeeding while your hormones are being regularized. However, some moms’ strong flow may extend beyond the first few weeks. This can be a bit irritating; however, the good news is that your body is producing a lot of food to be consumed by your little one. Now, if this happens, and you don’t see any improvement, it’s important to look for help to learn how to manage the output of milk and at the same time check your baby’s reaction to the intense milk flow. How do I know if my milk flow is very strong? If your baby separates from your breast, milk will keep coming out quickly without control. Your breasts will be overfilled so you feel congestion all the time. Milk will come out without control when nursing. You will feel your chest milk ducts are obstructed. What can you do in order to contain the strong flow of milk? Before breastfeeding, extract some milk to reduce its output speed. 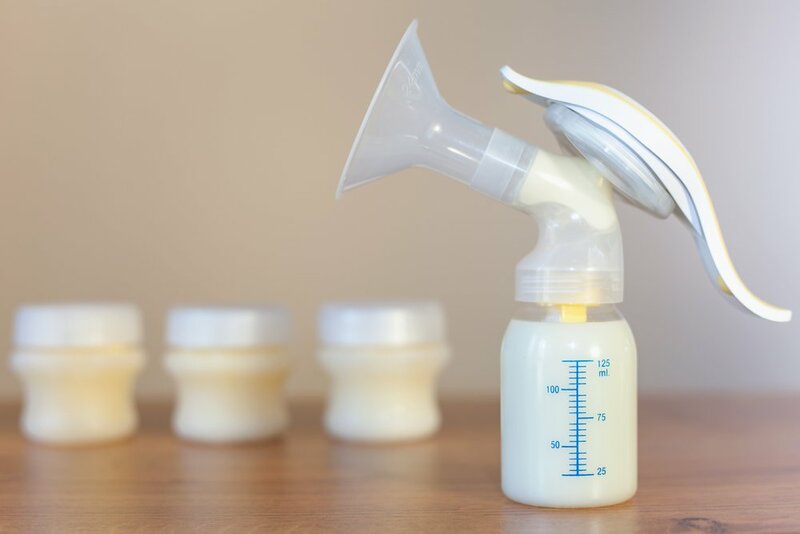 Milk is extracted manually or with the help of a breast pump. Just try not to take out a great amount of milk so that further production is not stimulated. Milk is made up of two parts. The first part is dense in lactose; the remaining one contains a greater quantity of fat. Try to give your baby both parts because if he only drinks the first one, he may experience colic. Try not to extract milk between feedings, do it only if you feel discomfort. Just verify that you don’t have clogged milk ducts in order to prevent infections. Nurse from one single breast for a couple of feedings and then switch to the other. Don’t extract milk from the breast you are not using. Look for an alternate nursing position. Sit your baby facing you, lean back slightly, and place his head somewhat high on your breast. Try different positions to stimulate the whole breast. Pause and burp your baby frequently. Most likely, the over-production of milk will be managed as your baby grows. Also, your baby will learn to tolerate the flow of milk or get used to it. Now, if you notice that none of the above help and you’ve given it some time, it is better to contact your specialist for evaluation. He or she will advise an appropriate treatment. How to feed my premature baby?